Mission Statement: We are part of the game! Our mission is to improve the overall quality of officiating throughout amateur baseball, and to provide an international organisation under which local associations and individual umpires can promote professionalism, integrity and a love for the game of baseball. The Amateur Baseball Umpires’ Association Europe (ABUA-E) shall be a community for all baseball and softball officials with a focus on baseball umpires. 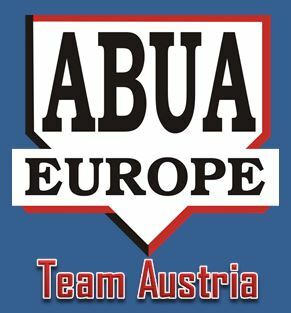 The ABUA-E wants to establish a support network for baseball umpires and other officials throughout Europe. The ABUA-E wants to establish a communication platform to create a European umpire identity regardless of nationalities. The task is to promote umpiring around Europe, especially in countries which do not have sufficient support for umpires. The ABUA-E will assist in providing materials, equipment, and know-how based on the fundamentals of professional teaching. The association shall create a professional attitude amongst all members on and off the field. The ABUA-E board wants to wish you a happy and successful new year, full of exiting games and experiences. In most European countries baseball is usually played under the Official Baseball Rules of the last year, that means this year with the version of 2017. The most remarkable change concerns the Intentional Base on Balls rules. Definition of Terms: A BASE ON BALLS is an award of first base granted to a batter who, during his time at bat, receives four pitches outside the strike zone or following a signal from the defensive team’s manager to the umpire that he intends to intentionally walk the batter. If the manager informs the umpire of this intention, the umpire shall award the batter first base as if the batter had received four pitches outside the strike zone. …for your support in 2017! See you all in 2018. Keep care! Two ABUA-E umpires praticipated in the CEB umpire clinic March 24-26. Maros Pavlik (SVK) and Georg Veit (AUT) successfully completed the course which was conducted by Paul Bokern (NED) and Mojmir Jankovic (SVK). Both new certified umpires will have their first appointments in a CEB tournament this year. …to all members, colleagues and friends all over Europe. Keep up the spirtit and the good work! The new ABUA-E uniforms are availabe now! You can order them at Honigs Europe. The ABUA-E logo is embroidered on the hat and over the pocket on the left side of the shirt. You will also find “We are part of the game!” on the left sleeve. Dead-ball territory. In order to understand whether the ball can be “carried,” one must first understand if the catch is allowed and whether or not the ball stays live. There is always a line of demarcation between live-ball and dead-ball territory. That could be a fence, a railing or a chalk line. Prep fields frequently have imaginary lines such as a fence line extended, a creek edge or the start of an upslope. Whatever the delineation is, it is considered live-ball territory. The Koninklijke Nederlandse Baseball en Softball Bond (KNBSB) has published an article about the Jim Evans European Classic 2016 umpire clinic on his webpage. Read the article. The 2016 edition of the Jim Evans European Classis is over. 27 students out of 11 nations attended an intense 6 1/2 days umpire clinic with chief instructor Jim Evans, instructor Mike Fichter and the assistant instructors Bruno Hubler and Sascha Pammesberger. Photos and Videos will be published soon on this website. We want to thank all participants, instructors and volunteers of B.S.C. Almere ’90 and hope to see you all at the JEEC 2018.